Museums are essentially storehouses of knowledge – honorary guardians of collecting, researching, preserving, and exhibiting artefacts. These artefacts could possibly come from all over the world or our very backyards, each one chock full of memories and stories. On that account, museums personify the pulse of communities and their shared past, collectively making them strongholds of wonder and learning about heritage. Today, Singapore herself is home to more than 50 museums – the most iconic of them being the National Museum and Asian Civilisations Museum – and the latest being the $530-million National Gallery, Indian Heritage Centre, and Lee Kong Chian Natural History Museum. Although we’ve recently experienced a steep proliferation of our arts scene, back in 1965, Singapore only had two museums. Our country’s first foray into the arts and museum milieu began with the Raffles Museum. Initiated by Raffles himself in 1823, and established in 1874, its purpose was to acquire specimens from and undertake research into Peninsular Malaya’s wealth of natural history, ethnology and archaeology. The British believed that knowledge was power, demonstrating their interest and efforts to establish a physical symbol of British sovereignty to document and research colonial territory. In 1955, the University of Malaya Art Museum was established at the Singapore campus of the then University of Malaya. Established before Singapore's independence, the University Art Museum was considered to be the prototypical museum institution, its collections expressive of the search for a Malayan identity in the region. 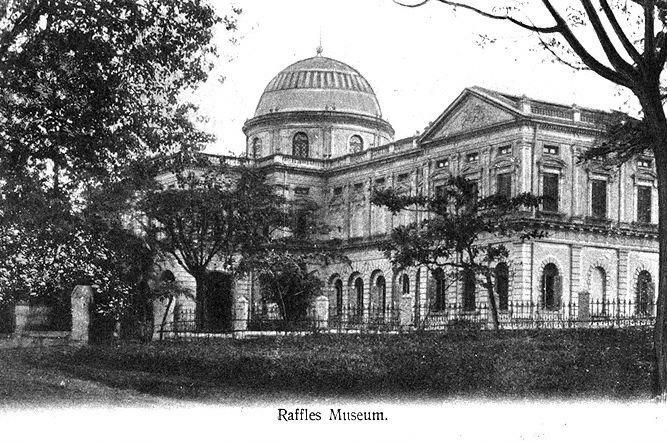 Following Singapore’s attainment of self-governance in 1959, the Raffles Museum lost its raison d'etre when its original purpose of being the collecting institution of colonial apparatus ceased. In 1960, the museum was renamed the National Museum but its role in the arena of modernizing Singapore was consistently disregarded during the next few decades. By 1972, the museum’s natural history collection was acquired by the brand new Singapore Science Centre and then-University of Singapore (today’s National University of Singapore) and in place, a new gallery dedicated to art from Singapore and around the region was installed. In the mid-1980s, the Government finally decided to address the National Museum’s long-term role in the nation. Two official bodies were appointed to look into the matter: A high-level Task Force on the long-term Development of the Museum (or Museum Development Committee (MDC)); and a larger Advisory Council for Culture and the Arts (ACCA). One of MDC’s recommendations was to split the museum into five major individual galleries: a Fine Arts Gallery, a Southeast Asian Natural History/Ethnology Gallery, a Singapore History Gallery, a Community Gallery, and a Children’s Museum. These new galleries were to be located in the “National Museum Precinct” – around Fort Canning and Bras Basah. These decisions were based on the notion that Singapore’s increasingly cosmopolitan landscape and continued economic success made the exploration of Singapore’s historical, cultural and sociological identity critical. Further, the committee recognised that the existing museum premises were not large enough to accommodate works for all the new galleries. 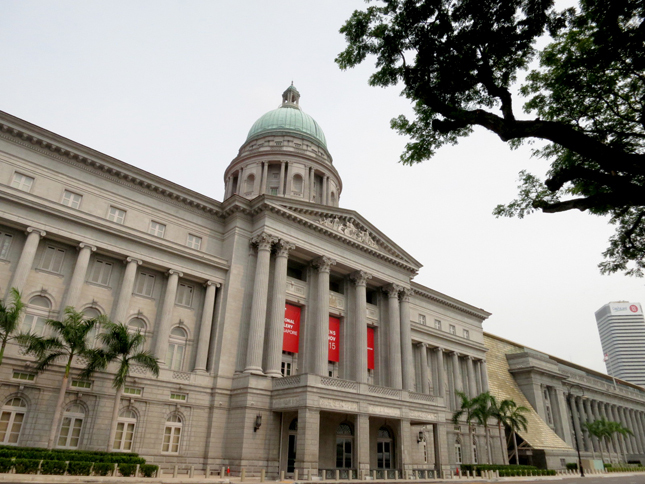 ACCA’s recommendations included renaming the National Museum as Singapore History Museum in 1993. Concurrently, the National Museum, the National Archives, and the Oral History Centre merged to form the National Heritage Board which was charged to oversee the implementation of ACCA recommendations. Later in 1996, the Singapore Art Museum was established at the former Saint Joseph’s Institution campus, along with the first wing of the Asian Civilisations Museum at the former Tao Nan School, in 1997. The advent of the millennium witnessed a whirlwind of activity on the museum stage in light of the Renaissance City Masterplans which gave rise to an emergence of a “business of museums”. Two paradigm shifts emanated from these plans – the first being the recognition that museums and the arts were vital to the social fabric of urban Singapore, and therefore an asset to develop and invest in to attract new businesses and talent; and the second shift, to recognize museums as an industry in its own right, requiring strategies for the development of specialised capabilities such as curatorship, audience development, and object conservation. Within a span of almost two decades, Singapore has achieved many museum related milestones: the Peranakan Museum, 8Q at Singapore Art Museum, and Heritage Conservation Centre have been established; the Lee Kong Chian Natural History Museum, Indian Heritage Centre; the revamped National Museum of Singapore and its six permanent galleries reopened; The Asian Civilisations Museum at Empress Place has also reopened with two brand new wings; and Crown jewel of the Civic District – National Gallery of Singapore – also very recently opened its doors. Riding on the coattails of this prosperous leg of museum related achievements, Singapore is poised to continue moulding itself as a global arts hub. In working towards that vision, perhaps it won’t be long till we too join the ranks of the great art epicentres of the world.